The Rosedale section of KCK is filled with small to medium sized businesses, in and around the “Boulevard”. This area was founded early in the city’s life, and has had it’s ups and downs over the years. Flooding has always been a fear of the residents and business owners in this low lying land. While these trials have tested, and broken many companies, some have remained steadfast through the years. One of these is Dagwood’s Cafe at 1117 Southwest Blvd. Upon entering, you find diners lining the counter or spread out at the tables. People on their way to work mingle with families enjoying a break from their hectic days. Everyone seems to be relaxed here, and the coffee flows freely. This old school style diner opens at 5:00 on weekdays, and 6:00 on weekends to serve up a variety of meals at good prices. Diners have plenty of options to satisfy their hunger, including the Dagwood breakfast sandwich, which is made with eggs, cheese, hash browns, and a choice of meat. All of this is piled high on Texas toast, which is then smothered with gravy. Not a meal for the light of stomach or those watching their calorie intake. 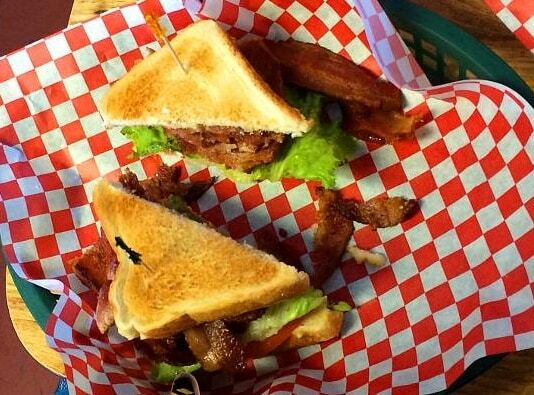 For those looking for something a tad bit lighter, the BLT Sandwich packs an appetite suppressing punch. As the morning progresses, we come to that period around brunch when you find people at the same table ordering breakfast and lunch items. While the breakfasts are filling, it is the lunch items that I enjoy the most. 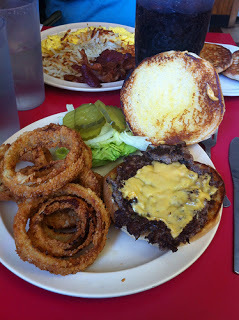 They have a wonderful cheeseburger, and their onion rings are crispy circles of delight. Handhelds are some of their most popular items, and they offer up a wide variety. On Monday through Friday, they begin offering their dinner menu items after 10:00 am. Looking around you see plates filled with Chicken Fried Steak or Roast Beef dinners, mingling with the late comer breakfast crowd. Seeing the constant flow of customers tells you know the food must be good. After all, they have been in business since 1938. 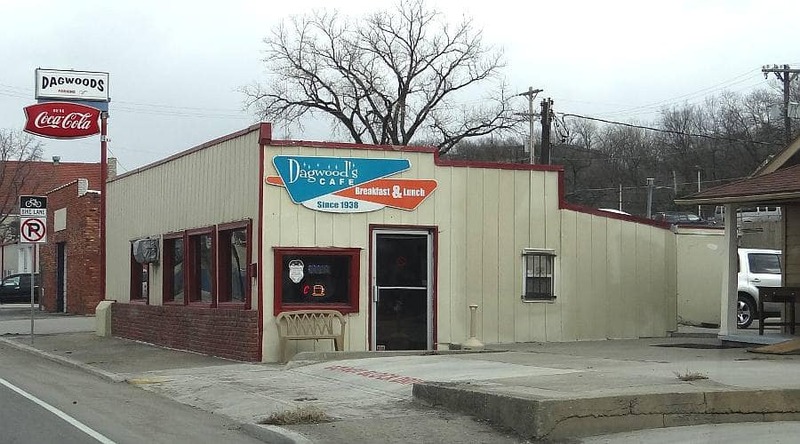 If you have never been to Dagwood’s Cafe, what are you waiting for? Ham Steak and eggs with hash browns and rye toast. Been eat at Dagwoods since I moved to KC in 1977. Just good honest food at reasonable prices. You are one of the locals that tourists see and know they are getting a great meal. We love this place. It’s very cozy and warm. The food is delicious. My favorite is the Big Dagwood Omelette. The entire staff is very efficient and friendly. Suzy, we haven’t tried the Big Dagwood Omelette. Thanks for a new item we can add to our list.